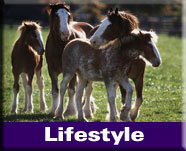 Do you want to provide the best life possible for your horse? Then All Natural Horse Care will show you how! We focus on putting the horse's needs first by taking a wholistic approach and allowing him to be a horse - which is by far the best gift you can give him. 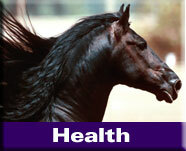 Why All Natural Horse Care? For those who have only ever known conventional horse keeping methods, this approach may at first seem to go against almost everything you know. This is because convention methods tend to have developed from the human perspective - things that make it easier for the human, such as blanketing to keep a horse clean, or stabling because we like to live inside so we think the horse does too. However, this does not meet your horse's physiological needs. 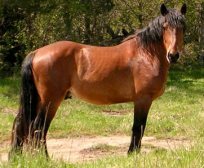 Horses are prey animals who are happiest when living in wide open spaces and in a herd. They don't care about fancy blankets and expensive stalls. They just need the social contact of equals, room to stretch their legs and to be a horse. By allowing them to do this you will have a horse that is less stressed, more athletic and overall much healthier. 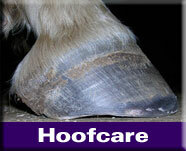 This website aims to provide information about all aspects of natural horse care in one convenient location. That way you can make informed choices easily and you don't have to waste precious time seeking information - time you can spend developing your relationship with your horse instead! All natural horse care is my passion. For me it has been a wonderful journey and has opened my eyes up to a whole other world that goes way beyond just horses. I would love to share that with you. You'll be surprised by how just making small changes can dramatically improve not only your horse's quality of life but often his lifespan too. This website is dedicated to Tuff n Classy Two, my amazing horse who first led me down this path and continues to teach me to grow and help make the world a better place for his fellow equines. 17 acres well maintained pasture with 3 acre pond for drinking and cooling off in summer heat. We keep herd size to 12/15 head. No rear shoes or stallions. Located on 70 acres in the Mohawk Valley Region of NY, we provide customized retirement and layup care. Both individual and group turnout available. 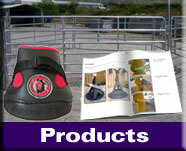 Want to keep up-to-date with All Natural Horse Care News? It's full of information and advice on all things natural and will keep you right up to date when new information is added to the website. 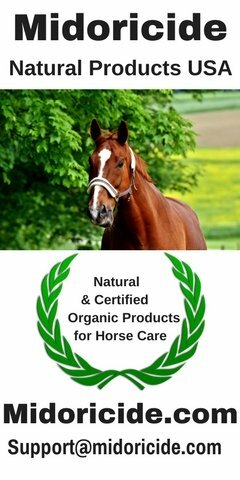 "When I discovered Jenny Edwards of All Natural Horse Care it was like finding the pot of gold at the end of a rainbow! 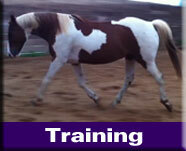 Without a doubt Jenny possesses more experience and knowledge in all areas of the natural horse than anyone out there. Just look at this website. She is meticulous and generous in creating accurate, up to date information for us all to learn from. And then having the privilege to see her conduct a clinic, Jenny proved to be a patient, understanding teacher who has a gift for helping horses and people. With kindness in heart I have witnessed her precision trimming create amazing results. If you are fortunate to live in her trimming service area, gosh, I envy you! And Jenny's talents don't end there. From assisting me in designing and building my website to helping me with a difficult hoof problem she demonstrated an unsurpassed expertise that is hard to find these days. 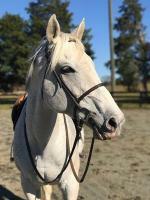 Jenny is a leading edge expert who is contributing to the horse world in a huge positive way!"